information is kept safe by us. We are Infinijith Apps & Technologies Private Limited, a full stack development company based in Gobichettipalayam, Tamil Nadu. Hereafter Infinijith Apps & Technologies Private Limited will be referred to as Infinijith. What kind of Information do we collect? When do we collect and use them? And how do we share the information? We collect from you various types of information such as personal contact information, account login information, demographic information & interests, information from computer/mobile device, websites/communication usage information, market research & consumer feedback, and third party social network information. We will only collect information where it is necessary and also if it is relevant to our dealings with you. We may collect your title, name, gender, email address, postal address, delivery address, telephone number, mobile number, fax number, payment details, payment card details or bank account details and Internet Protocol(IP) address. Further, the list consists of the personal information received from your social networking sites through which you have registered to the website including name, profile picture, email address or friends list, and any information made public in connection with that social media service and such other personal and non-personal information that may be required to access and operate the website. We do not process sensitive personal data in the course of our business, if necessary, to process your sensitive personal data for any reason, we rely on your prior express consent and compliance with applicable law. Under no circumstances, we rent, trade or share your personal information that we have collected from you with any other company for their marketing purposes without your consent. We reserve the right to communicate your personal information to any third party that makes a legally-compliant request for its disclosure. We provide you with safe and secure shopping experience on our website. Our information security systems apply to people, processes and information technology systems on a risk management basis. We provide stringent and effective security measures on our website. It is our policy to never send private information, such as your credit card number, via e-mail, IM, chat or other unsecured means. The informations related to your credit card or debit card details are accessed by the third party payment services and we don’t access to this kind of information. 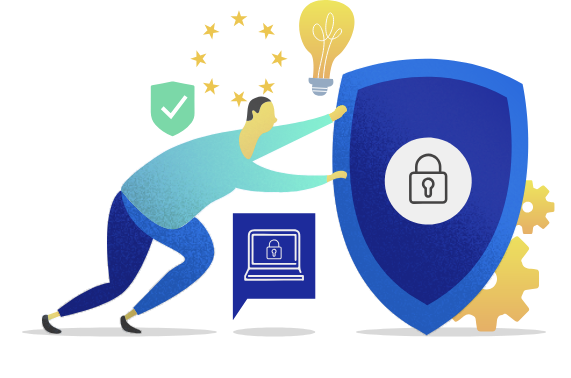 recommend you to adopt all internet safety practices, because we cannot guarantee the absolute security of your personal information as no method of transmission over the electronic storage is 100% secure. This privacy statement does not extend beyond this website. When visiting a site linked to from this website, we recommend that you read the privacy statement of that site. We store small text files called Cookies in your device in order to enable various features of our apps. They are used to store user preferences and trends which can be used to improve user experience. We use web beacon information for a variety of purposes, including but not limited to, site traffic reporting, unique visitor counts, advertising, email auditing and reporting, and personalisation. Cookies may also be used for our marketing efforts. We also use Google Analytics and other third-party analytics providers to help measure how users interact with our website content. These cookies “remember” what our users have done on previous pages and how they’ve interacted with the website. We and these third-party vendors, including Google, use first-party cookies (such as the Google Analytics cookie) and third-party cookies (such as the DoubleClick cookie) together to report how your ad impressions, other uses of ad services, and interactions with these ad impressions and ad services are related to visits to Your site. We collect and use data from Google's demographic reporting (such as age, gender, and interests) to identify trends in the usage of our website. Such information is only used internally by us. You can opt-out of Google Analytics for Display Advertising and customize Google Display Network ads using Google Ads Settings. You can also use the Google Analytics opt-out browser plug-in to prevent your data from being collected and used by Google Analytics. Third parties cannot collect any other personally identifiable information when you accept Cookies in your browser settings. If you do accept a Cookie, you thereby agree to our use of any information collected by us through that Cookie. Any such information collected will only be used for improving the website experience. Infinijith do not intentionally gather personal information from visitors who are under the age of 13, and if it collects, it will be only under the guidance from the parent or guardian. Suite 210, Sunnyvale CA, 94086.